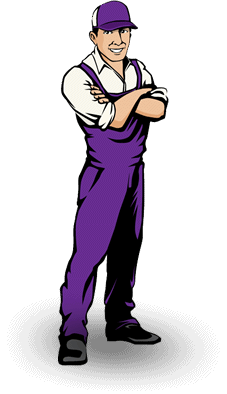 Are you in need of a resourceful man and van in Wandsworth, that can get to you on time, promptly and without delay? We are FMV, we have highly trained and experienced service providers that specialise in transportation, deliveries and removals in Wandsworth. We don't just arrive on time; we offer some of the finest services available and pride ourselves on providing the best removal experience in the entirety of London. We do all of the hard work so you can sit back and wait for your goods to be transported to a location of your choice, across the United Kingdom. Over the years, we have gained a vast amount of experience within the industry, from the layout of the area to the best times to operate. Because of this, we can make sure to get to you on time, without delay and in an enthusiastic manner. If you require multi-drop deliveries, we have the equipment to get your item/s where they need to be, on time and safely. Maybe you are in need of a collection service and you aren't able to pick up the item yourself; well we make sure to get to the location promptly, before picking up your item and bringing it to a destination of your choice. Even if you require bulk removals, office relocations or moves across London, we have the experience, knowledge and professionalism to navigate the busy streets in and around Wandsworth and the Common to get the job done. 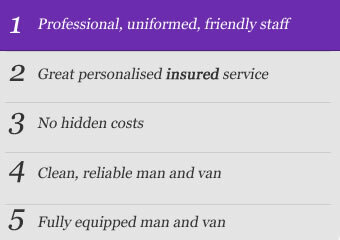 Feel free to visit http://finestmanvan.co.uk/services for a full list of our services. We can undertake removals of all sizes, from smaller, single item drop-offs to large-scale relocations and transportations. We have the facilities and equipment to suit your exact needs, with a wide range in partner van sizes so that you always get a customised experience that reflects your project. So why choose FMV for your removal and transportation services? Well not only do we have the knowledge and experience, but we make sure to continually improve our skills. We are honest, fairly priced and always punctual. We are attentive when necessary, with clear communication skills and the ability to handle surprises. If you need more information, just check out our reviews to see just how many happy customers we've had over a huge variety of projects. For a service that you can trust, come to FMV today for a superior removal service that's designed to suit you.